*Please see below for the Foundation’s reflection on what might constitute Canadian concert music to ensure that the proposed work aligns with its statements. recorded for future release on the Analekta label. Proposals will be accepted from Canadian citizens and permanent residents of all ages, levels of experience, faiths, backgrounds and affiliations. Eligible composers must prove within the body of their submission the relevancy of their proposed composition to the Prize theme – a celebration of excellence in new Canadian music. Selected examples should demonstrate the composer’s aptitude for writing chamber music for larger forces (i.e. a mixed ensemble of 14-16 musicians). participate in outreach events, workshops, press conferences, media interviews and other such promotion and education activities as they relate to the Azrieli Music Prizes and its objectives to educate the general public about the enduring appeal and artistic importance of the works that result from engaging with the Prize theme. Don’t worry about how ‘Canadian’ you are (or are not) before considering a submission to one of the prizes. People from all faiths, backgrounds and affiliations are equally welcome to apply their artistry, creativity and musicality in response to the Prize theme. In fact, one of the Foundation’s hopes for AMP is to generate productive understandings through a rich consideration of what Canadian music is and can be. Carefully consider the written reflection below in addressing the question of what might constitute Canadian music. A successful submission will suggest an interesting, appropriate yet compelling potential response to this question in the shape of a musical work. We are calling on composers to extend their own creativity, inquisitiveness and thoughtfulness in seeking out this potential response. It also calls for a deeper, purposeful and conscious consideration of Canadian values and experiences that extend beyond simple representations of Canadian people or subjects, or simple incorporations of Canadian secular, sacred and/or traditional musical materials. Submissions are then pre-screened by a small team of staff and Jury members to evaluate their fit and relevancy to the Prize theme. Those submissions that clear the pre-screening stage are then delivered as qualified submissions to the AMP Canadian Music Jury for their evaluation. 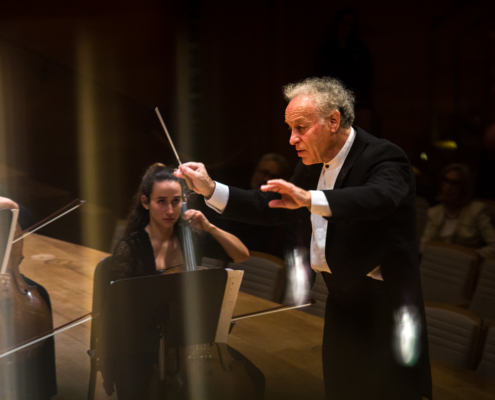 In the case of the Azrieli Commission for Canadian Music, the Jury will also apply a fourth unscored criteria (Capacity), which is important to their deliberations in selecting the best candidate to win the Prize. The Jury will evaluate each qualified submission with the aim of identifying how well thought-out it is in regards to its use of rhythm, melody, harmony, timbre, texture, dynamics and orchestration. They will evaluate these elements especially in regards to how well they express or positively reinforce the composer’s purpose and intentions for the proposed work, and as they relate to the Prize theme. 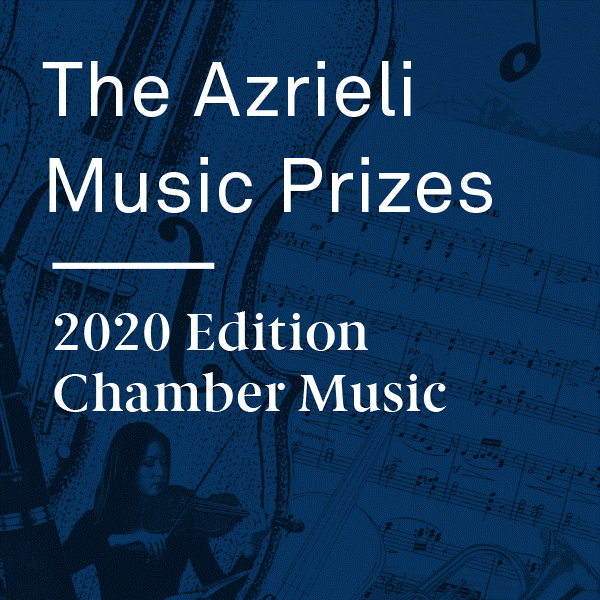 The Jury will evaluate whether the qualified submission offers a topical and original fit to the objectives of the Azrieli Music Prizes based on the reflections on what might constitute Canadian music. The Jury will evaluate the qualified submissions for the candidates’ ability to execute the project as proposed. Given the circumstances of requesting a commission and its premiere performance, can the proposal be realistically and successfully achieved? Does the composer demonstrate enough previous experience to assure the Jury that they will deliver on their proposal in the time allotted and with high artistic and technical results? Those proposals for which the Jury can answer these questions in the affirmative will advance in the competition. For the purpose of the Azrieli Music Prizes, the Azrieli Foundation treats the term ‘Canadian music’ as broadly as possible. It takes into account the rich multicultural fabric of this country, which is woven together by a diversity of languages, religions, social traditions, histories, geographies and their cultural expression, including all of the musics that have found their home within the nation’s borders. In tandem with an exploration of Canadian music as rooted in the nation’s diverse histories and traditions, the Foundation invites applicants to consider a forward-moving and dynamic sense of the Canadian spirit. Therefore, it invites composers to explore themes and content drawn from contemporary Canadian life and experience that express not only historic concerns and current conditions but also our future aspirations.